"It could be even more dramatic." 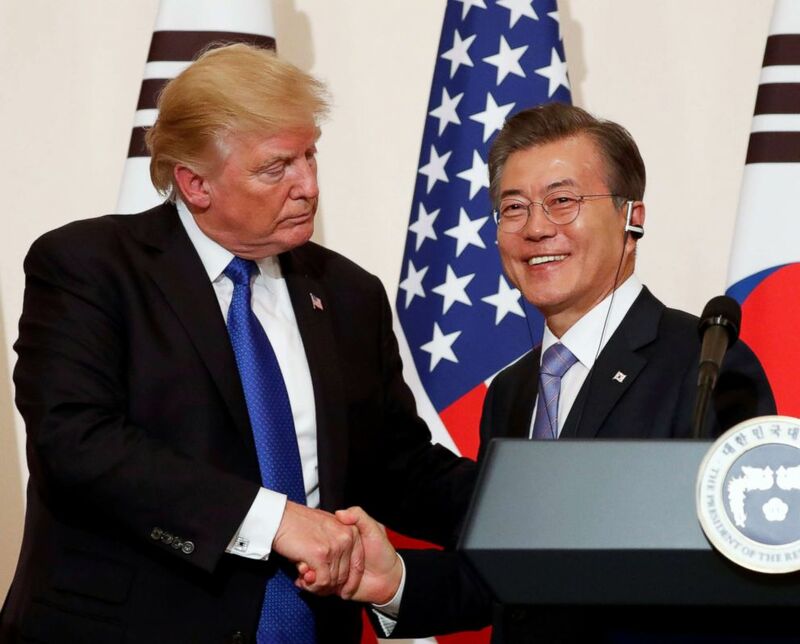 South Korean President Moon Jae-in raised the idea of a three-way summit among the two Koreas and the United States, depending on the outcome of a planned North-South summit next month and President Donald Trump's meeting with North Korean leader Kim Jong-un sometime before the end of May. 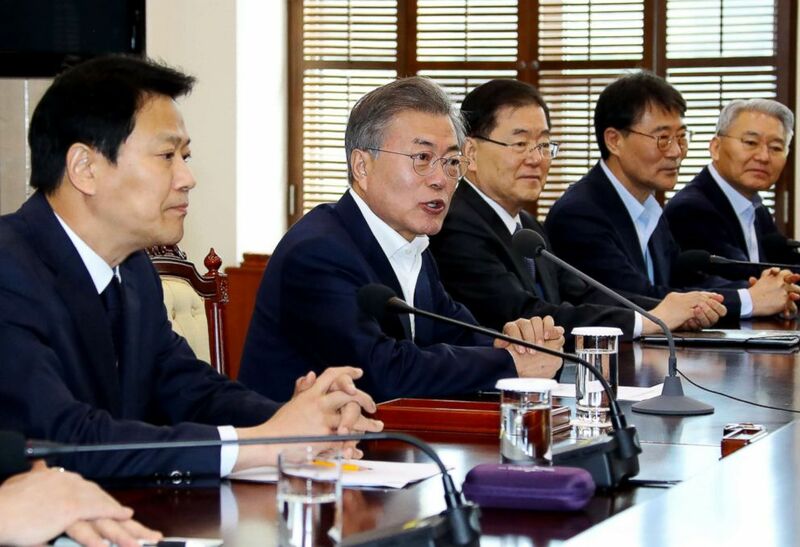 Moon's preparation committee today also suggested a meeting with the North March 29 to kick-start discussions on details of the inter-Korean talks. "Holding a North Korea-U.S. summit following a South-North Korea summit itself is a historical event. 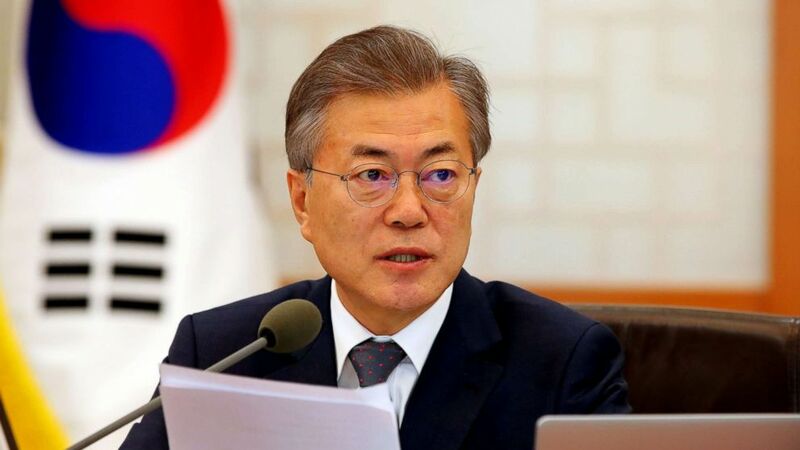 And depending on their outcomes, they may lead to a three-way summit of South, North and U.S.," Moon said Wednesday, noting that "it could be even more dramatic" depending on the progress during the planning stage. (Hoynhap/EPA/REX/Shutterstock) South Korean President Moon Jae-in speaks during a Cabinet meeting at the presidential office Cheong Wa Dae in Seoul, South Korea, March 20, 2018. Kim's proposal to sit down in talks with Trump was verbally delivered to Trump by South Korean envoys who had met with Kim in Pyongyang two weeks ago. North Korea has not mentioned a word since then about the offer but for the first time, Pyongyang's state media commentary Tuesday said there are growing signs of change in North Korea-U.S. relations and a "dramatic atmosphere for reconciliation" is in the works. All this was not because of Trump's campaign to put maximum pressure on the North but made possible "thanks to the proactive measure and peace-loving proposal" from the North, the North Korean state news agency KCNA reported. (Jonathan Ernst/Reuters, FILE) Donald Trump and South Korea's President Moon Jae-in shake hands at a news conference at South Korea's presidential Blue House in Seoul, South Korea in this Nov. 7, 2017 file photo. The leaders of two Koreas are to meet at the truce village of Panmunjom but the location of the subsequent Trump summit with Kim has yet to be agreed upon. Dates for both talks have yet to be confirmed. "Pyongyang won't suit Trump for security reasons. Kim would, of course, want to be in Washington, D.C., which is perfect to show off an image of a normal state," said Bong Youngshik, a research fellow at Seoul-based Yonsei Institute for North Korean Studies. "But I would guess Sweden or Panmunjom," which is at the demilitarized zone, inside the joint security area. Working-level officials from all three countries have been engaging in a flurry of diplomatic meetings with other nations in Asia, Europe and the United States in the past weeks to get a sense of what to expect out of these two sets of bilateral talks. Moon said the summits should aim to "completely resolve the issues of denuclearizing the Korean Peninsula" and establish peace. 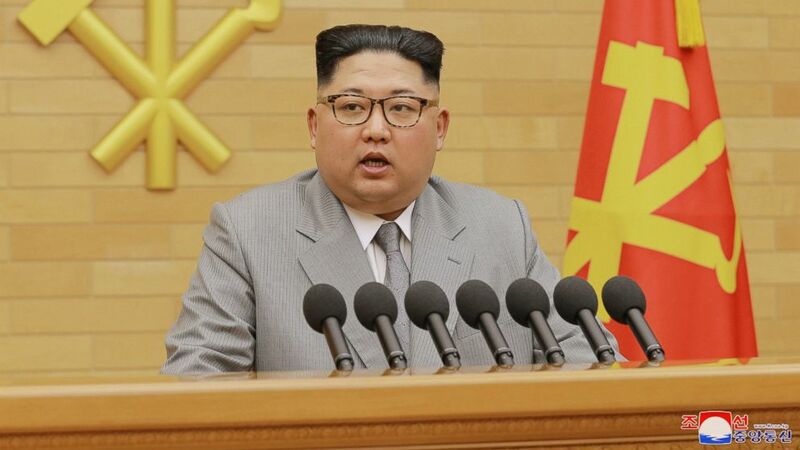 (Korean Central News Agency/Korea News Service via AP, FILE) North Korean leader Kim Jong Un delivers his New Year's speech at an undisclosed place in North Korea, Jan. 1, 2018, in this photo provided by the North Korean government. South Korean envoys to the North, National Security Office Director Chung Eui-yong and National Intelligence Service chief Suh Hoon, made multiple trips to Washington D.C., Beijing, Tokyo and Moscow to deliver Kim's intentions while North Korea's foreign minister, Ri Yong Ho, flew to Stockholm to discuss Sweden's consular role as a protecting power for the United States. Another senior North Korean diplomat in charge of North American affairs, Choe Kang Il, is in Finland this week for semi-official meetings with former U.S. diplomats, including former U.S. Ambassadors to South Korea Kathleen Stephens and Thomas Hubbard, American academics and security experts from Seoul, according to South Korean news agency Yonhap. (Bee Jae-man/Yonhap via AP) South Korean President Moon Jae-in, fourth from right, speaks during a meeting to prepare a planned summit between South and North Korea at the presidential Blue House in Seoul, South Korea, March 21, 2018. ABC News' Hakyung Kate Lee, Jaesang Lee and Jiwon Park contributed to this story.